Directed by Orson Welles. 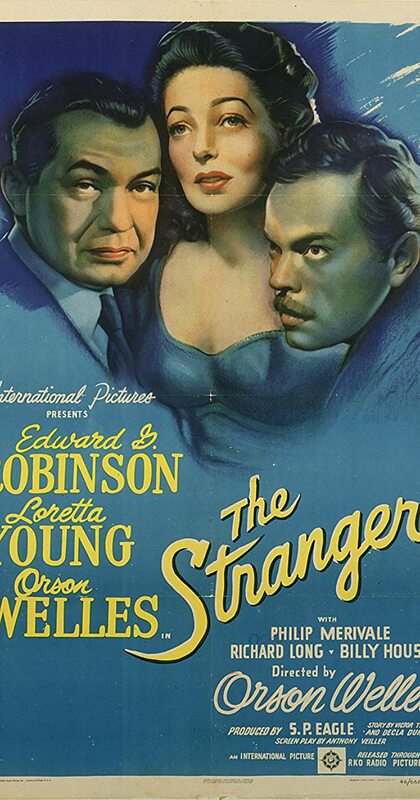 With Orson Welles, Edward G. Robinson, Loretta Young, Philip Merivale. An investigator from the War Crimes Commission travels to Connecticut to find an infamous Nazi.